is there any possibility to determine the timezone of point (lat/lon) without using webservices? Geonames.org is not stable enough for me to use :( I need this to work in PHP. IIRC it took less than 1 second to populate the R-Tree, and it could then perform thousands of lookups per second (both on a 5 year old PC). I ran into this problem while working on another project and looked into it very deeply. I found all of the existing solutions to be lacking in major ways. Downloading the GeoNames data and using some spatial index to look up the nearest point is definitely an option, and it will yield the correct result a lot of the time, but it can easily fail if a query point is on the wrong side of a time zone border from the nearest point in the database. Parse the ESRI shapefile format into a useful internal representation. Write point-in-polygon code to test whether a given query point is in a given polygon. Write an efficient spatial index on top of the polygon data so that you don't need to check every polygon to find the containing one. Handle queries that are not contained by any polygon (e.g., in the ocean). In such cases, you should "snap to" the nearest polygon up to a certain distance, and revert to the "natural" time zone (the one determined by longitude alone) in the open ocean. To do this, you will need code to compute the distance between a query point and a line segment of a polygon (this is non-trivial since latitude and longitude are a non-Euclidean coordinate system), and your spatial index will need to be able to return nearby polygons, not just potentially containing polygons. Each of those are worthy of their own Stack Overflow question/answer page. AskGeo uses a digital map and has a highly optimized spatial index that allows for running more than 10,000 queries per second on my computer in a single thread. And it is thread safe, so even higher throughput is certainly possible. This is a serious piece of code, and it took us a long time to develop, so we are offering it under a commercial license. We are also open to porting it for a bounty. For details on the pricing, and for detailed documentation, see http://askgeo.com. I hope this is useful. It certainly was useful for the project I was working on. I know this is old, but I spent some time looking for this answer. Found something very useful. Google does time zone lookups by long/lat. 2,500 per day limit (or 100,000 for business users). You should be able to, if you know the polygon of the timezone to see if a given lat/lon is inside it. For areas on land, there are some shapefile maps that have been made for the timezones of the tz (Olson) database. They're not updated quite as regularly as the tz database itself, but it's a great starting point and seems to be very accurate for most purposes. I've written a small Java class to do this. It could be easily translated to PHP. The database is embedded in the code itself. It's accurate to 22km. ...so I presume a translation to PHP would be easy. However, some very rough approximation can be calculated: 1 hour difference corresponds to 15 degrees longitude (360 / 24). Note that the accuracy of the look-up will be based on how comprehensive your look-up data is. Not sure if this is useful or not, but I built a database of timezone shapes (for North America only), which is painstakingly accurate and current not just for borders, but also for daylight saving time observance. Also shapes for unofficial exceptions. So you could query the set of shapes for a given location could return multiple shapes that apply to that location, and choose the correct one for the time of year. You can see an image of the shapes at http://OnTimeZone.com/OnTimeZone_shapes.gif. Blue shapes are around areas that do not observe daylight saving time, magenta shapes those that do observe daylight saving time, and neon green shapes (small and tough to see at that zoom level) are for areas with unofficial deviation from the official time zone. Lots more detail on that available at the OnTimeZone.com site. The data available for download at OnTimeZone.com is free for non-commercial use. The shape data, which is not available for download, is available for commercial license. I downloaded data that matches 5 digit zip codes to time zones, and data that determines the UTC offset for each time zone during DST and non-DST periods. Then I simplified the data to only consider the first three digits of the ZIP Code, since all ZIP codes that share the first three digits are very close to each other; the three digits identify a unique mail distribution center. The resulting Json file does require you to decide whether or not you are subject to DST currently, and it probably has some inaccuracy here and there. But it's a pretty good local solution that is very compact and simple to query. Input any location in North America, Output geocodes, area codes and timezone in json or jsonp. 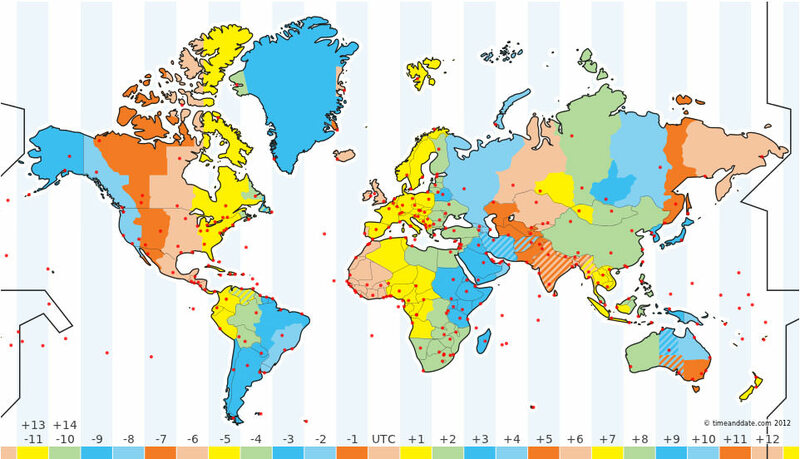 "timeZoneName" : "Pacific Standard Time"
How can I handle time zones in my webapp?